Two decades on Poland's capital markets. Our team members are all passionate about shaping the best solutions to support management boards in building shareholder value added. We offer a unique combination of in-depth knowledge and expertise in financial and investment advisory, equity research, capital investments, financial and corporate communications and investor and public relations. We bring together knowledge, skills and experience recognized both in Poland and abroad. We have been present on Polish and global capital markets for the past two decades. Check This Out best essay writing service uk. Tomasz has been present on Poland’s capital market for more than two decades. He has broad, practical knowledge of capital markets, equity analysis and investments. Tomasz started out as an equity analyst at HSBC, DM BOŚ and Pekao Pioneer Pension Fund, later moving to the buy side as a fund manager at Millennium TFI and DWS TFI. He serves as an independent member of supervisory boards of listed companies, and is a licensed stockbroker. Tomasz is a partner and co-founder of Investsight. 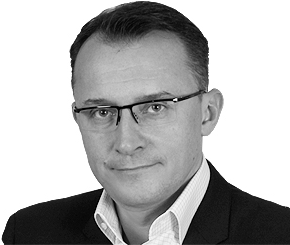 Andrzej has 20 years of experience on capital markets, both domestic and international, working at top financial institutions including UBS, Citigroup and HSBC. He was involved in investment advisory and investment banking services, and now specializes in value based management (VBM) and financial advisory (M&A). Andrzej is interested in implementation of VBM and strategic management in small and mid-cap companies listed on the Warsaw Stock Exchange. He is an independent member of supervisory boards of listed companies. 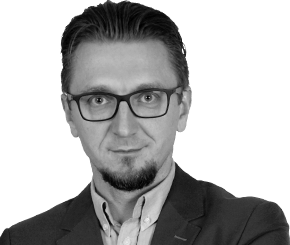 Andrzej is Managing Partner and a co-founder of Investsight.